August 5, 2018 By Jamie Leave a Comment By clicking on our links, we might make a SMALL commission - Thanks for the support! See our full DISCLOSURE here. Now that the kids are back in school – we’re back to being lunch-making machines every morning. Assembly line sandwiches are the norm around here – but once in awhile I like to mix it up with something kind of fun. 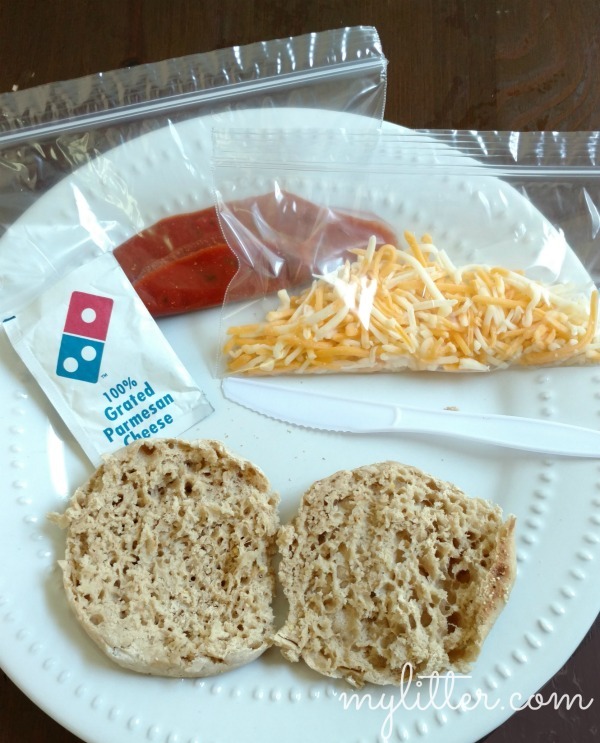 These DIY Pizza Lunchables are yummy, inexpensive and totally customizable to each child! 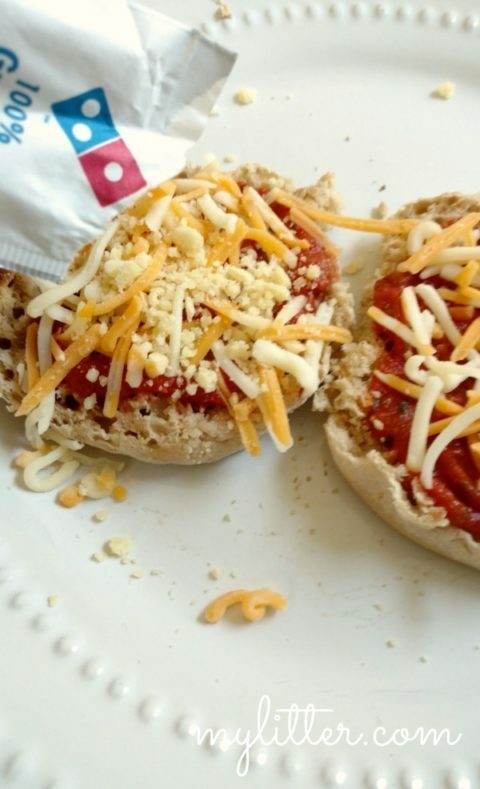 Back when I was a kid we occasionally had french bread pizzas, or English Muffin pizzas on special occasions and we *loved* them. 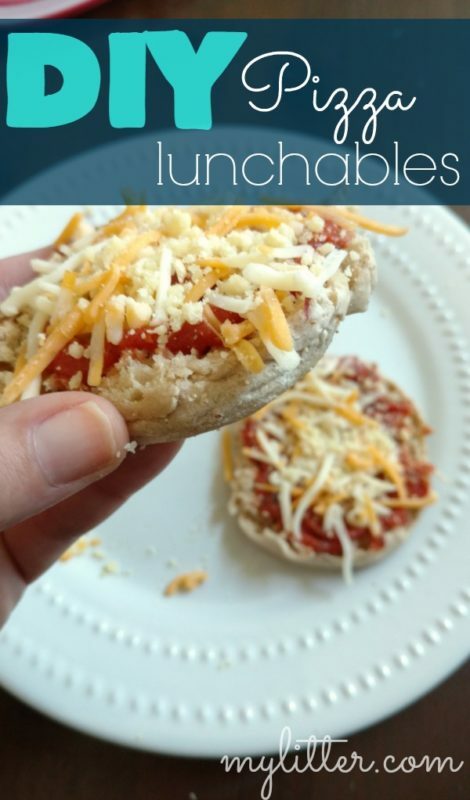 I always have a few parmesan packets leftover in the fridge from some pizza place or another – and those are PERFECT for including in your DIY pizza lunchable kit. Just enough for two mini pizzas! 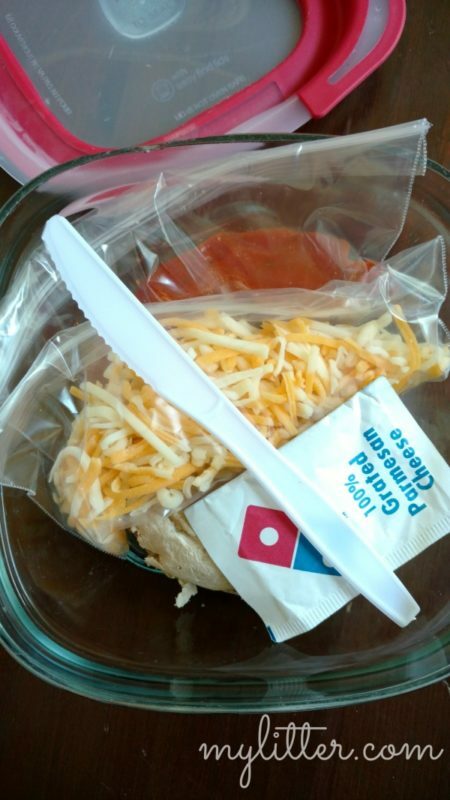 Put sauce and shredded cheese into separate snack-sized ziploc bags. Include a packet of parmesan from a pizza place, or shake some into a separate baggy. Place all toppings in container with the crusts and include a knife or spoon. I love my Rubbermaid Glass containers – there’s a little extra room in them to fit a pile of toppings, a knife and a napkin. 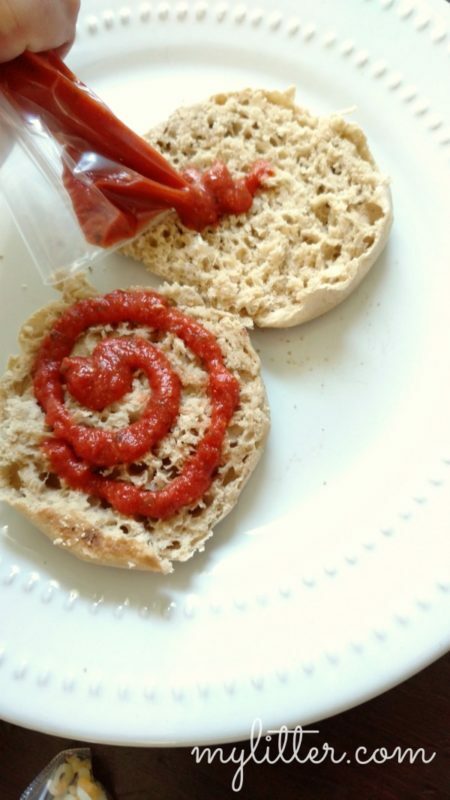 When ready to eat, bite or cut a small hole in the corner of the sauce bag and squeeze onto the crust. Add cheese and toppings and enjoy!